Three-time Grammy Award winner Angélique Kidjo is one of the greatest artists in international music today, a creative force with thirteen albums to her name. Time Magazine has called her "Africa's premier diva". The BBC has included her in its list of the continent's 50 most iconic figures, and in 2011 The Guardian listed her as one of their Top 100 Most Inspiring Women in the World. Forbes Magazine has ranked Angelique as the first woman in their list of the Most Powerful Celebrities in Africa. She is the recent recipient of the prestigious 2015 Crystal Award given by the World Economic Forum in Davos, Switzerland and the 2016 Amnesty International Ambassador of Conscience Award. As a performer, her striking voice, stage presence and fluency in multiple cultures and languages have won respect from her peers and expanded her following across national borders. 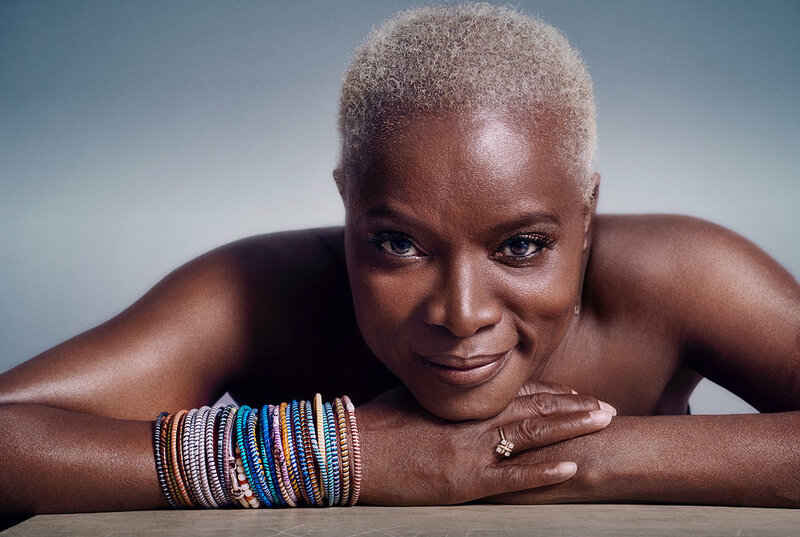 Kidjo has cross-pollinated the West African traditions of her childhood in Benin with elements of American R&B, funk and jazz, as well as influences from Europe and Latin America. The world famous Avignon Theatre Festival 2017 ended with the show “Femme Noire" given in the historical Cour d’Honneur Du Palais Des Papes. The new year brings us Angélique’s newest project, her interpretation of The Talking Heads’ classic 1980 album, Remain in Light. She will record her version of the album with superstar producer Jeff Bhasker (Kanye West, Jay Z, Drake, Beyoncé, Bruno Mars, and Taylor Swift), taking classic songs such as "Crosseyed and Painless," "Once in a Lifetime," and "Born Under Punches (The Heat Goes On)" and reinterpreting them with electrifying rhythms, African guitars, and layered backing vocals. Angélique will bring this musical extravaganza to concert halls and festivals across the globe including a premier performance at Carnegie Hall and U.S. festival debut at Bonnaroo in 2017. Her star-studded album DJIN DJIN won a Grammy Award for Best Contemporary World Album in 2008, and her album OYO was nominated for the same award in 2011. In January 2014 Angélique’s first book, a memoir titled Spirit Rising: My Life, My Music (Harper Collins) and her twelfth album, EVE (Savoy/429 Records), were released to critical acclaim. EVE later went on to win the Grammy Award for Best World Music Album in 2015, and her historic, orchestral album Sings with the Orchestre Philharmonique Du Luxembourg (Savoy/429 Records) won a Grammy for Best World Music Album in 2016. Angelique has gone on to perform this genre-bending work with several international orchestras and symphonies including the Bruckner Orchestra, The Royal Scottish National Orchestra, and the Philharmonie de Paris. Her collaboration with Philip Glass, IFÉ: Three Yorùbá Songs, made its US debut to a sold out concert with the San Francisco Symphony in June 2015. In addition to performing this new orchestral concert, Angelique continues to tour globally performing the high-energy concert she’s become famous for with her four-piece band. Her rousing live show was recently captured at the revered Austin City Limits and made its television debut in January 2016.